Working toward enhancing our cultural humility approach throughout our organization and the community, The Women's Initiative is co-sponsoring a community education session on cultural humility and implicit bias this December. Eboni Bugg, LCSW, RYT will be presenting the talk on implicit bias and cultural humility on Monday, December 4, 5:30-7:30 pm, at the Jefferson School African American Heritage Center. "We feel as health care providers that we want to make sure we are doing our part to cultivate a community that is culturally humble and is aware of biases," Jackie Martin, the director of community benefit at Sentara Martha Jefferson Hospital, told CBS19 News. 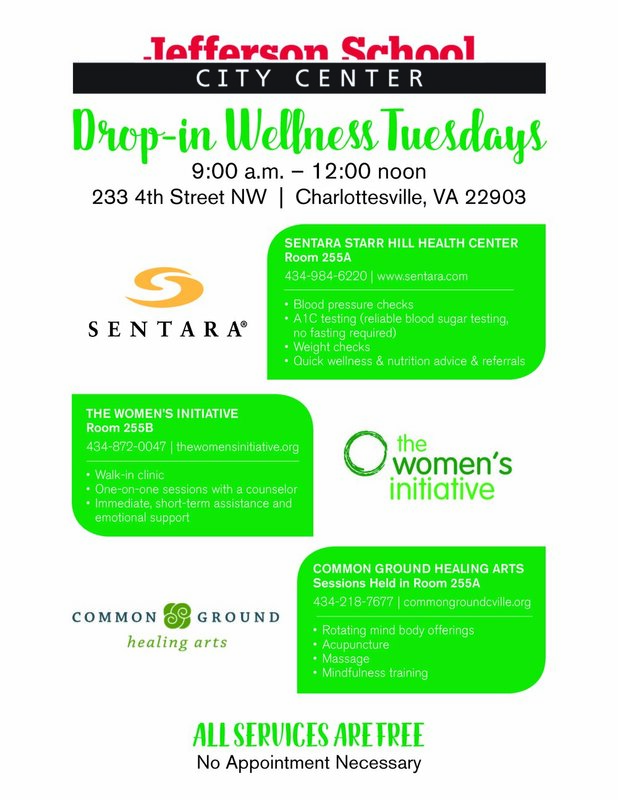 Sentara, UVA Health System and the Jefferson School African American Heritage Center are also co-sponsors. The presentation is free, but space is limited. RSVP by Monday, November 27 by calling 1-800-SENTARA.